Architectural spaces that are of different shapes, sizes and colours and that are made of different materials affect our mood differently. The indoor environment within buildings has a major effect on its occupants’ health and wellbeing. Walls used to divide and enclose spaces also block natural light and sound. The degree to which a wall blocks light or sound depends on the materials out of which they are made. In the sustainable design of buildings, architectural and engineering principles are applied in the planning and construction of energy-efficient buildings. The designs of buildings take into account the indoor air quality, thermal comfort and overall needs of their occupants. Friedman has done extensive research on factors that influence the design and implementation of affordable and sustainable building practices at the unit and community levels. The introduction of natural light into buildings helps reduce their energy consumption. Natural light, which makes building occupants have a feel for the external environment, also has psychological effects. Natural lighting is usually preferred to artificial lighting because of its health benefits. Lack of sunlight can lead to a condition known as seasonal affective disorder (SAD), which usually occurs during winter months. The use of natural light in buildings improves colour rendering, which creates a more pleasant environment. Colours have physiological effects on people and can be used to set the mood and tone of an architectural space. Certain colours can change our mood or the way we perceive the environment. The use of suitable colours during the design of buildings is necessary to increase the functionality of that space. Warm colours are believed to create mental relaxation effects while cool colours are believed to create soothing effects. Lighter colours are used to create more relaxed environments. Some colours are more attractive and welcoming than others. Each one has a different meaning to different cultures in various countries. Building materials have physical as well as psychological effects on people too. Some materials help improve the thermal comfort of buildings. Materials such as wood require less insulation to achieve the same level of thermal comfort, which is achieved using materials such as concrete. Some materials help reduce the noise levels in an architectural space from within the building or from the external environment. Excessive noise has several undesirable psychological effects such as annoyance, general stress, sleep disturbance, anxiety and depression. Architectural spaces affect the moods of people in different ways. People have different backgrounds which affect their preferences. 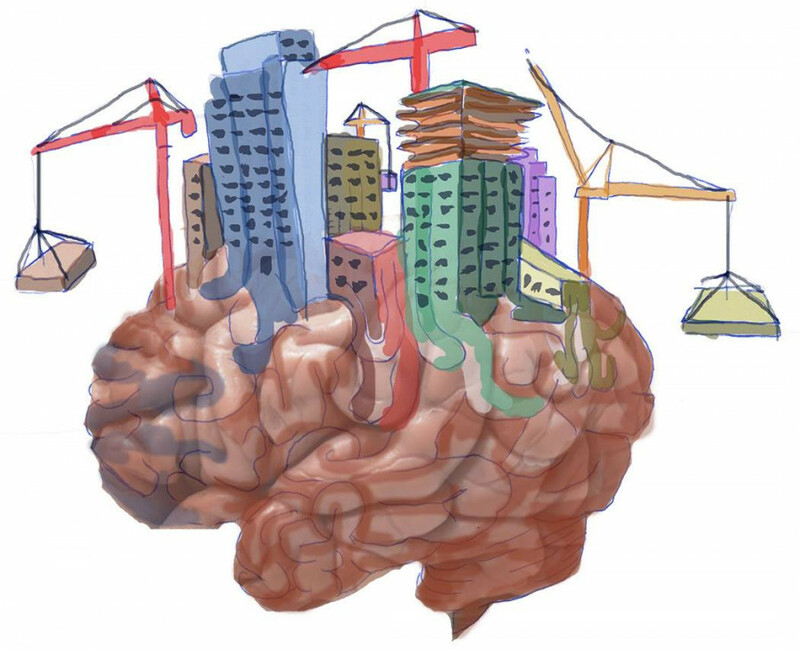 Psychology affects architecture in different ways. Psychologists study how people perceive architectural spaces and how it affects their moods, and architects design architectural spaces to meet the perceived needs of people and improve their mood.